An awesome mod man, Thanks. can't wait to play the other episodes, any idea as to when they would be available? Glad to see you're back! Will there be any new retro models added in the new version or in the future? I could give a couple suggestions if you want. Same, great to hear you guys are close to another release! Was wondering on the cosmetic front whether you'll be updating the custom/retro models and whether the earlier released chapters will be getting fixed or if they and Enslavers/Stukov will be included in a later version. Let's see those suggestions, then. I'm not sure what you mean by "earlier chapters getting fixed", we have taken care of a few miscellaneous issues in the mod - perhaps most notably the one with friendly Science Vessels casting D-Matrix on enemies on their own - this will affect all the episodes. Can't comment on Stukov series right now. Yeah, I was talking about the double kerrigan bug and the D-Matrix chiefly. Glad to hear they've been fixed. For Enslavers, I did see the new version, but I'm mostly wondering whether it'll be accessible through the SCMR menu like the current extras suggest or if it'll remain its own side thing. For Stukov it's mostly whether Resurrection IV will remain accessible as it is in 6.x. Looking at the Covert Ops Wraith if you've kept the Covert Ops look for UED and a bunch of Leviathan Brood SC1 units which would mesh with the Overmind zerg faction. And yes, I copy-pasted most of this from the previous beta test announcement. 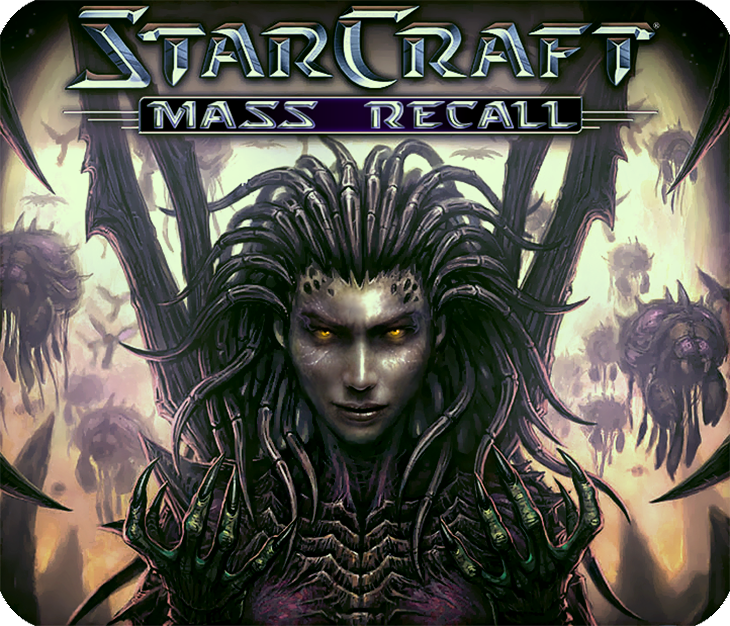 I would like to bring the balance of SCRM to the original starcraft. Help to help with this, if such changes are required. I've been playing the Rebel Yell campaign for a few days now. For some weird reason, when I use Science Vessels, they use to set Defensive Matrix automatically on enemy units. Yeah, this bug has been reported multiple times, fixed and is pending next version... whenever that is. i found that in the option if i click the box playing without broodwar tech, then i couldn't play the game in brutal level. so should i use the broodwar tech to play brutal level ? Looking to hopefully get the rest of the episodes and the "extra" campaigns (Loomings, Stukov Series, Enslavers Redux) sometime soon-ish. I don't have an exact date, but I would expect it to be more like weeks instead of months at this point. When its released, I'll also have a 2nd trailer ready to go also marketing that announcement. The latest installment is looking gorgeous. Now I just need a powerful enough machine to run this in its full glory! I've got a question though, is anyone willing to create the remaining tutorial missions from 64? Boot Camp is set on Mar Sara instead and is followed by an Officer Training mission. Nothing major but could be there as an extra, possibly on the Stukov Series. Along with Deception if anyone ever makes it. Hey that's a interesting idea. Maybe instead of playing all the tutorial missions in the beginning of each episodes, we can just create it's own section and put all 3 (looming, rebell yell, and N64 tutorials) in it's own section. Most people usually just skip these anyways, so this would be a better idea. I think I will open a issue ticket for this and see how the developers feel.